Dŵr Cymru Welsh Water has invested record levels in its water and wastewater services, to improve the service it provides to customers, according to the company’s half-year results. It invested £196 million between April and September 2017 and plans to invest a total of £400 million in the year to March 2018. The company said it is now investing “more than ever before” with more than £1 million a day being invested across 400 different schemes. This forms part of its £1.7 billion investment programme between 2015 and 2020. 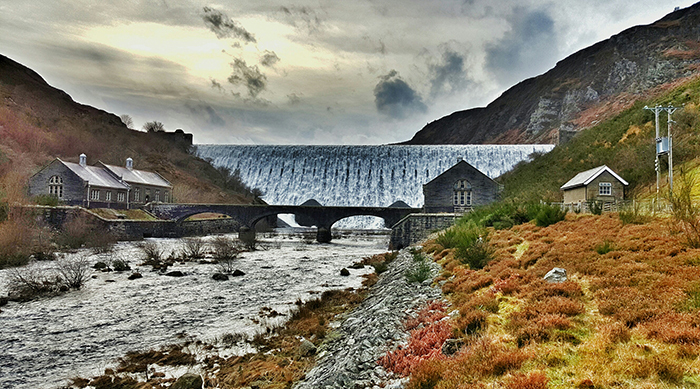 Welsh Water said it “continues to improve the resilience of its network and its service”, which remains a “key challenge”. Its regulatory gearing – total group net debt as a percentage of regulatory capital value – has fallen to 55 per cent, down from 57 per cent in March 2016 and 93 per cent in 2001. Meanwhile the company reported an underlying loss of £15.1 million, compared to £1.1 million profit in 2016, citing “higher depreciation charges and financing costs” as the reason. It said these results demonstrate that “delivering excellent customer service” remains a key focus. Welsh Water is now helping to fund a range of social tariffs which lower bills for more than 90,000 customers who “genuinely struggle” to pay their water bills. The company said it is on track to help more than 100,000 customers by 2020. It is working with over 100 organisations to promote the scheme and is spending nearly £6 million to help fund support. Chris Jones, chief executive at Welsh Water, said: “Our driving force is doing all we can to earn the trust of our customers every day. We are pleased that we are able to invest and to do more for our customers than ever before. Welsh Water is the UK’s only not for profit water and wastewater company. It provides services to more than three million customers in Wales, Herefordshire and Deeside. Hereford – More than £8 million to replace 7.5km of trunk main which will protect and improve drinking water supplies for around 13,000 customers.